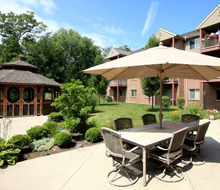 Wright Place in Xenia, Ohio, offers peaceful, country, independent apartment home living for seniors age 55 or better. With our convenient location, you'll be anywhere you want to be in no time! 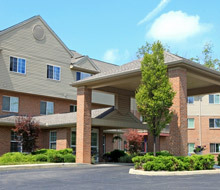 We're close to Highway 42, and just minutes from downtown Xenia. Benefits of community living coupled with contemporary amenities and beautiful views makes Wright Place home! Our creatively designed one and two bedroom floor plans feature an all electric gourmet kitchen with a pantry, tile and carpeted floors, walk-in closets, indoor storage units, some paid utilities, and individually controlled heating and air-conditioning. These residences are sure to please and inspire. It's time to enjoy living; come home to Wright Place today! 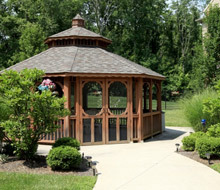 Wright Place offers a tranquil haven for its residents. Put your mind at ease with our smoke and pet free environment. Enjoy monthly events and activities, free van transportation to grocery shopping and special events, book club, and bingo and other games. 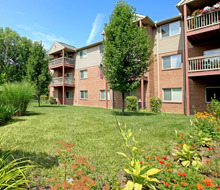 Our beautifully manicured apartment community provides the ultimate refuge from a hectic world. Tour our photo album, and choose your new home!